The first ever sub-compact sedan from Ford India - the Figo Aspire - finally launched in India today at a starting price of ₹ 4.89 lakh (ex-showroom, Delhi). 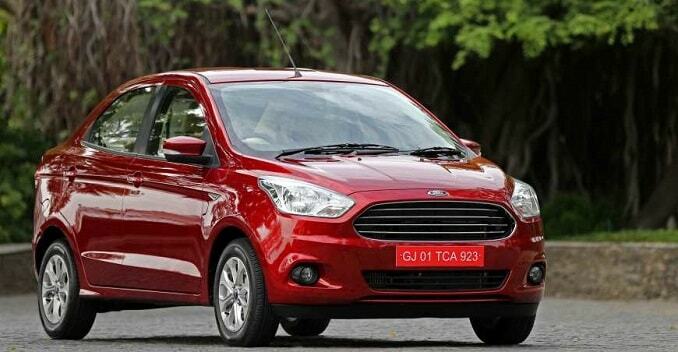 The vehicle had made its debut as the Figo concept at the 2014 Delhi Auto Expo. 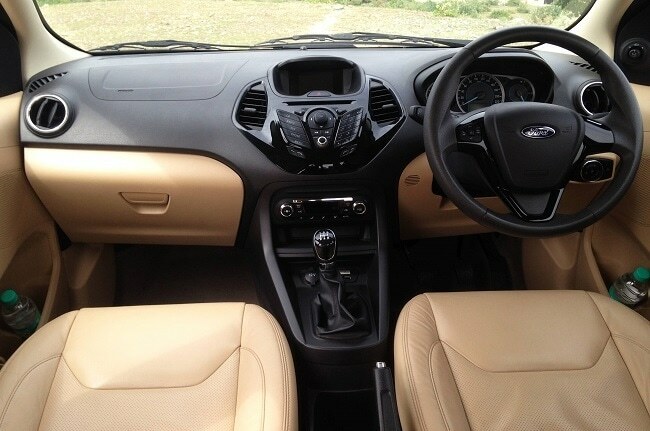 With several segment-first features such as 6 airbags, 6-speed dual-clutch automatic gearbox, leather seats, etc, the Ford Figo Aspire takes on the likes of Maruti Suzuki Swift Dzire, Hyundai Xcent, Honda Amaze, Tata Zest and others in the sub-4 metre sedan segment. Interestingly, the Ford Figo Aspire has become the first car in its league to offer driver and front-passenger airbags standard across all variants. 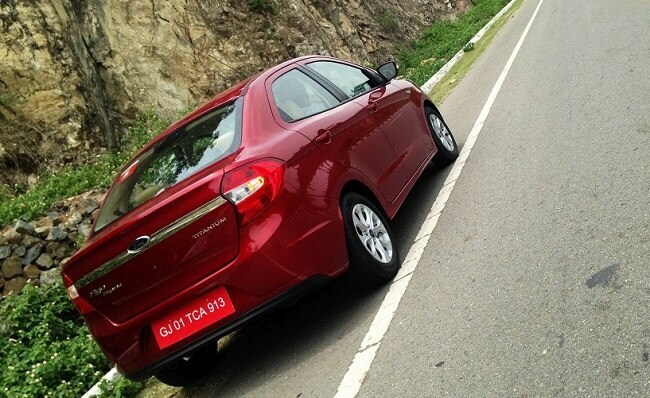 The new sub-compact sedan is offered with three engine options - a 1.5-litre Ti-VCT petrol (110bhp), a 1.2-litre Ti-VCT petrol (87bhp) and a 1.5-litre TDCi diesel (99bhp). While the 1.2-litre petrol and 1.5-litre diesel-engined variants will get a 5-speed manual gearbox, the 1.5-litre petrol model will come equipped with a 6-speed dual clutch automatic gearbox. Just so you know the 1.5-ltre petrol & diesel powertrains are the same units that power the EcoSport, but the 1.2-litre Ti-VCT is a new engine based on the Figo hatchback's petrol engine. 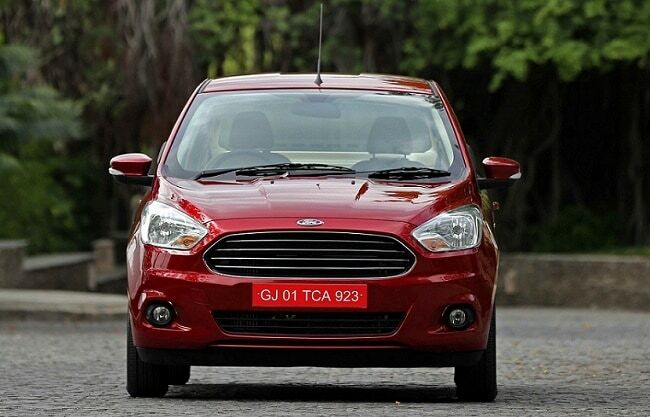 Available in 4 trim levels - Ambiente, Trend, Titanium and Titanium +, the Ford Figo Aspire comes with seven colour options - Ruby Red, Sparkling Gold, Oxford White, Tuxedo Black, Deep Impact Blue, Ingot Silver and Smoke Grey. Coming to the dimensions, the vehicle measures 3,995mm in length, 1,695mm in width, 1,525mm in height, and has a wheelbase of 2,491mm and 174mm of ground clearance. Despite being a sub-4 metre sedan, the Figo Aspire offers a decent 359-litre of boot space.